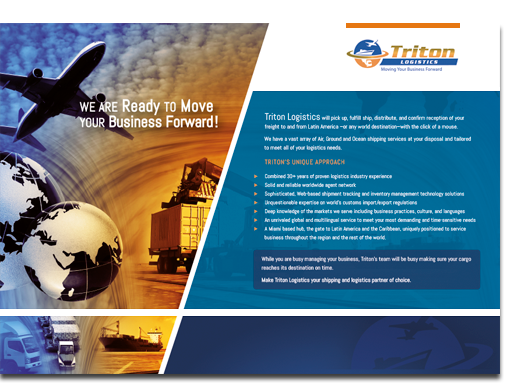 Triton Logistics, is a multimodal company that operates worldwide offering shipping services from large, Fortune 500 corporations to small and medium companies. With a multilingual staff they provide the finest expedited delivery service anywhere. Cultura Interactive was contracted by the Triton Logistic’s marketing department to create and develop multiple pieces for their brand identity. The company was looking to revamp their brand image. 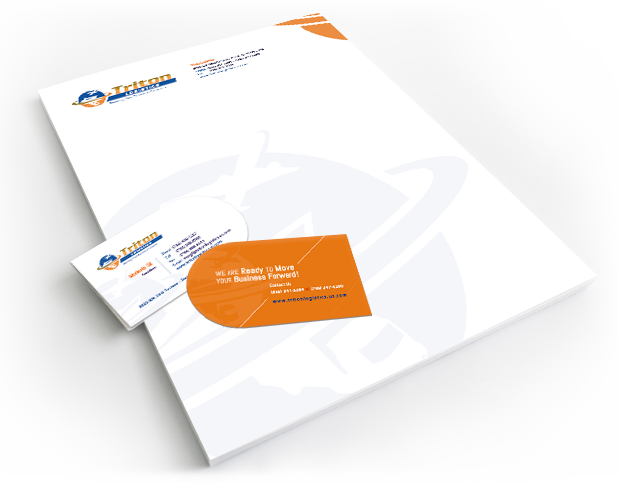 So, we were put in charge to design business cards, envelopes, folders, flyers, brochures, banners, badges, letterheads, notepads, power point themes, workers certificates, and all graphic pieces to help create awareness with their new brand identity. 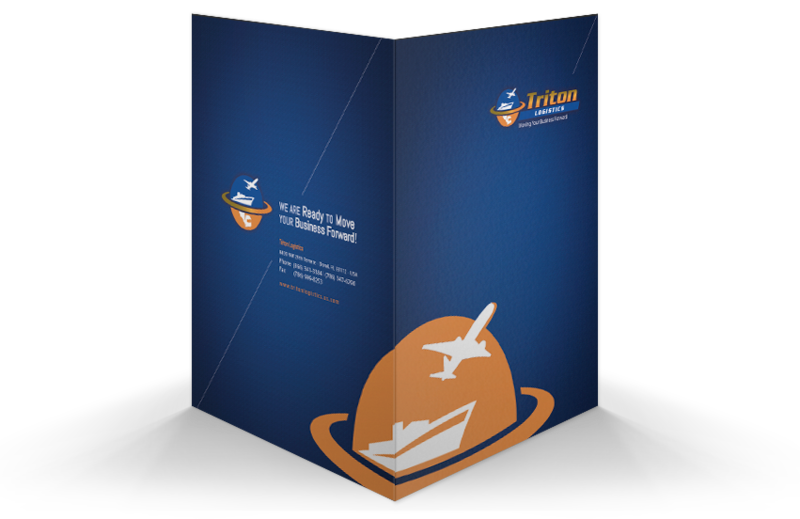 Since Triton Logistics markets their services to many companies around the world, we designed a brochure that showcases their shipping services and provides useful information for current and potential clients. 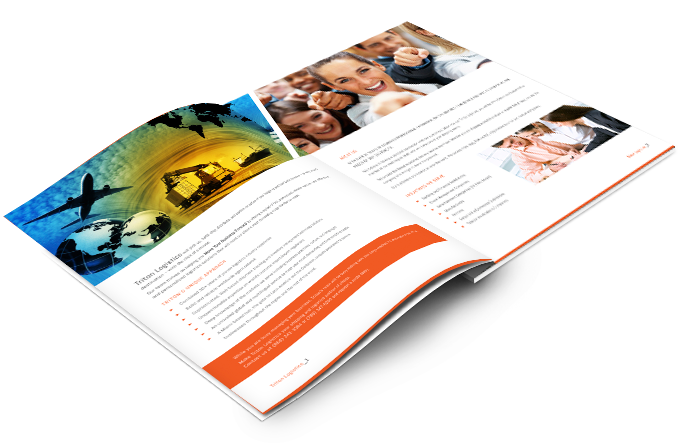 With inviting colors and graphics, we created an attractive design that not only generates brand awareness and recognition, but also captures the company’s primary objectives in an easy-to-read brochure. 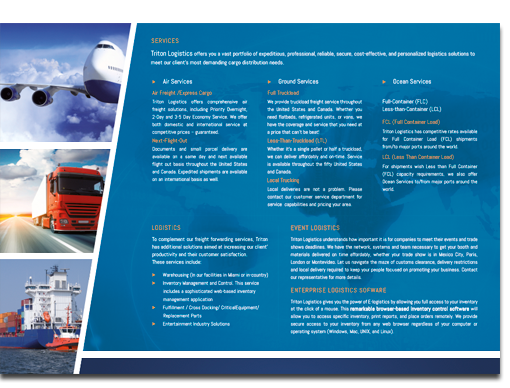 Apart from establishing the company’s new brand identity through stationary and print collateral, our team also designed an eye-catching flyer that creates brand consistency and highlights the company’s most prominent services all in one place. Even though a logo was already designed for the company, our team improved the existing logo with some shadows and better quality color definitions in order to use it as a base for the graphic design pieces that we created for their brand identity.